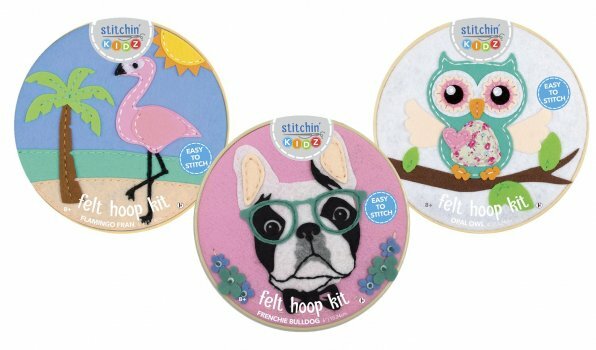 Each kit includes a stamped felt panel, pre-punched felt pieces, 6" hoop, embroidery floss, embroidery needle, miscellaneous embellishments, and easy-to-follow instructions. Available at most Hobby Lobby stores. 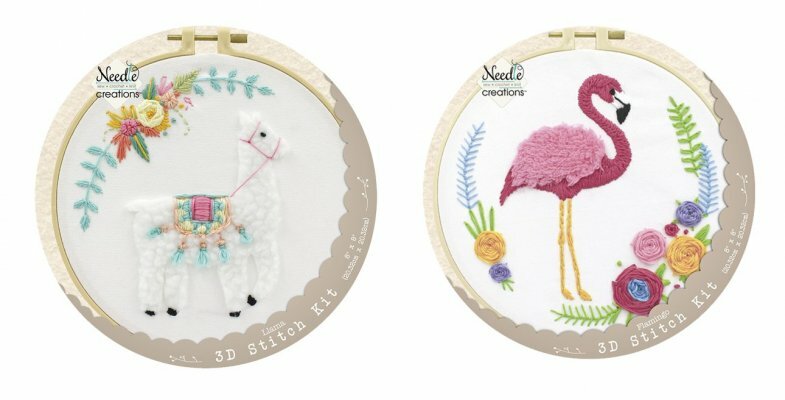 Each kit includes a printed panel, pre-cut dimensional appliqué piece, 8" hoop, embroidery floss, embroidery needle, and easy-to-follow instructions.